Explanation: What's happened to our Sun? Nothing very unusual -- it just threw a filament. Toward the middle of 2012, a long standing solar filament suddenly erupted into space producing an energetic Coronal Mass Ejection (CME). 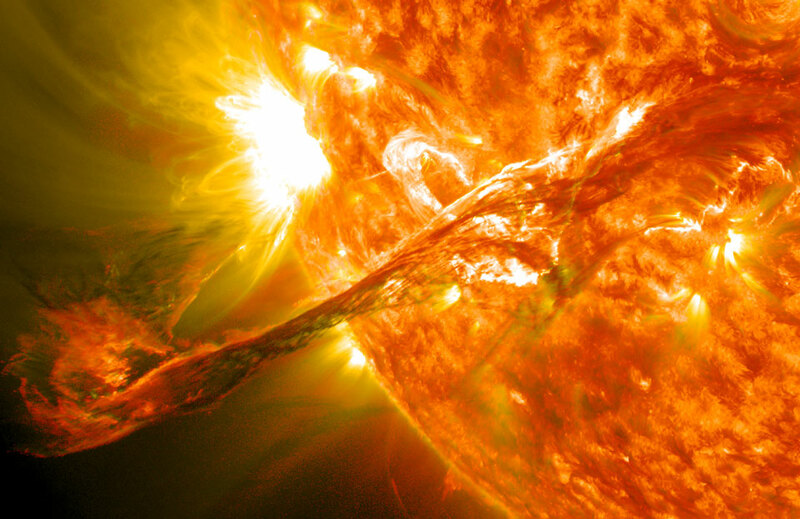 The filament had been held up for days by the Sun's ever changing magnetic field and the timing of the eruption was unexpected. Watched closely by the Sun-orbiting Solar Dynamics Observatory, the resulting explosion shot electrons and ions into the Solar System, some of which arrived at Earth three days later and impacted Earth's magnetosphere, causing visible aurorae. 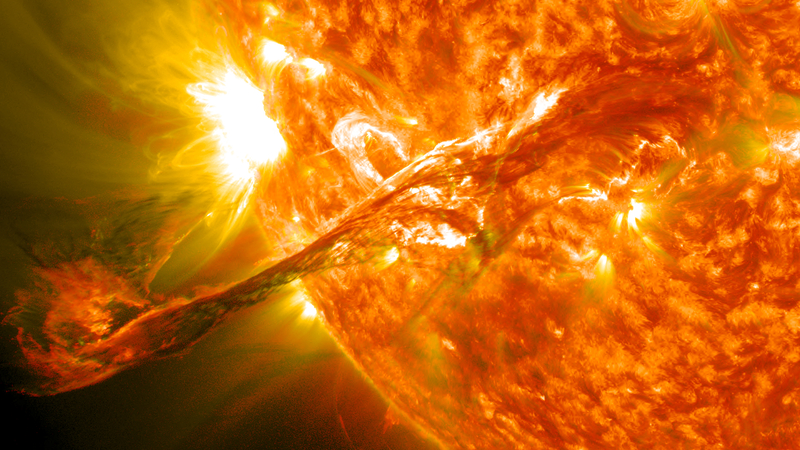 Loops of plasma surrounding an active region can be seen above the erupting filament in the ultraviolet image. Over the past week the number of sunspots visible on the Sun unexpectedly dropped to zero, causing speculation that the Sun has now passed a very unusual solar maximum, the time in the Sun's 11-year cycle when it is most active.